I’ve been talking about this for weeks, but I’ve finally completely revamped Sybaritic Pleasures! Personally, I’m loving the blog’s new look and feel, but I’d love to hear what you think. Do you love it as much as I do? I hope so! So, there you have it. 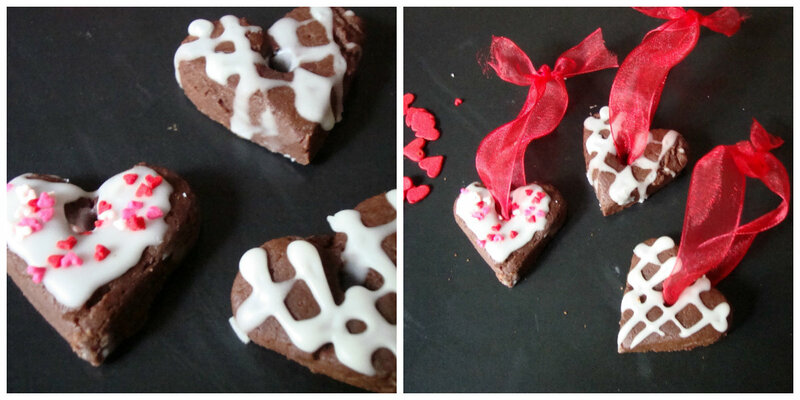 Cookies inspired by love, made with love, and a perfect treat to make for someone you – well – love. You can do different things with them too! 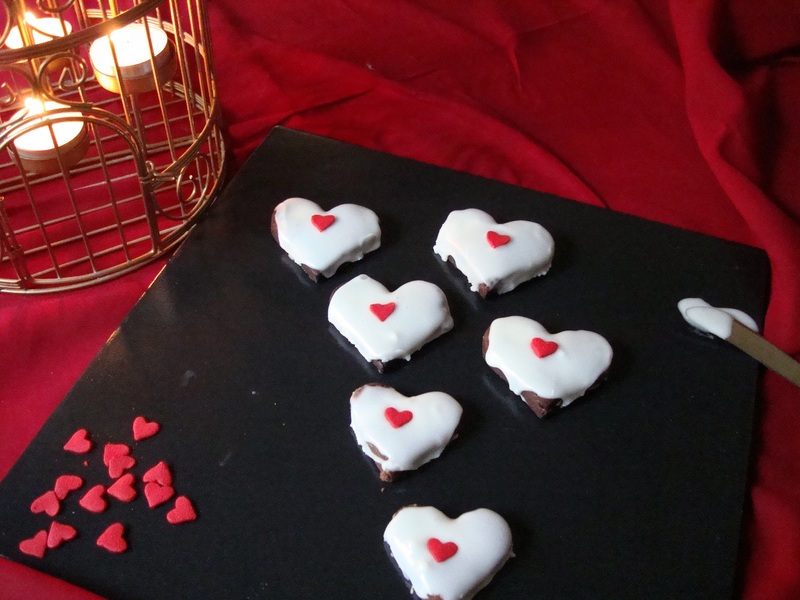 You could decorate them differently; I did a few lattice ones, and generously sprinkled teeny tiny hearts on a few others. I like to use edible ornaments on my Christmas tree (yes, it is that time of the year again; how quickly it rolls around), so this is just to show you how it would look hung up on your tree. The only thing you need to beware of is renegade cookie lovers; they just pull the ornament off the tree and EAT IT. 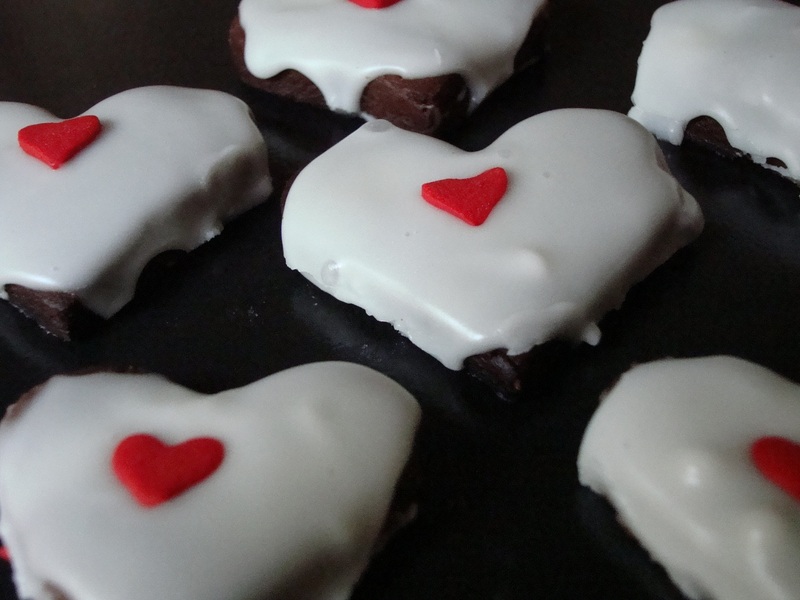 And now that I come to think of it, these would make amazing Valentine’s Day treats as well! So go on. Treat yourself to a little love, simply because you love yourself THAT much. 1) Combine the butter, sugar, and vanilla in a large mixing bowl and beat until light and fluffy. Add the eggs, one at a time, and blend. 2) Combine the flour, cocoa, baking soda, and salt; add this gradually to the creamed mixture, blending as you go. 3) Chill the dough until it is firm enough to handle. 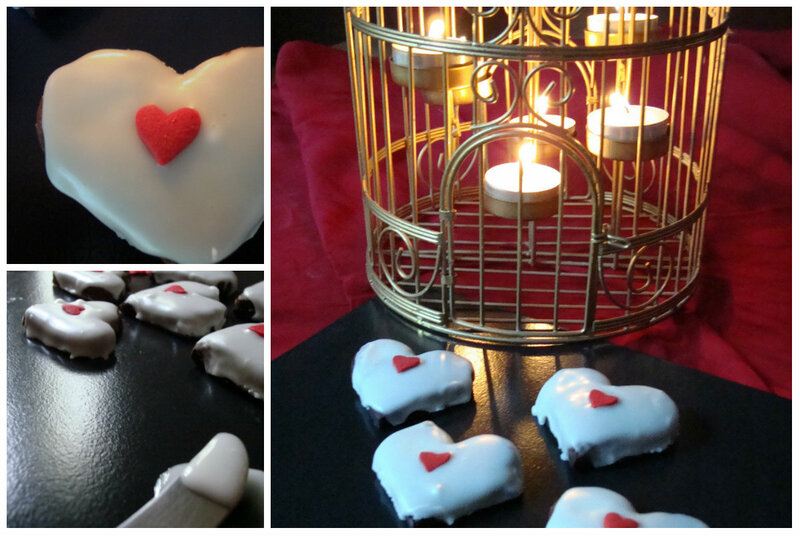 4) You can’t roll this dough; I just flattened it out on a lightly floured surface and used the biscuit moulds to cut out the heart shapes. The biscuits should be about 1″ thick. 5) Arrange the cookies on a baking tray lined with baking paper and bake at 180 C for about ten minutes, or until the cookies are done. Allow them to cool a little on the sheet before transferring them to a wire rack to finish cooling. 6) Once the cookies are cooled, you can ice them. Get your kids to help you; it’s a lot of fun! 1) Whisk the sugar, syrup, and about 1.5 tablespoons of the milk in a bowl until it is smooth. 2) Spread a test cookie with the glaze; if it doesn’t smooth out, add the rest of the milk to the icing, a few drops at a time, testing it as you go. I found that I needed 2 tablespoons of milk and a few drops more. 3) Ice the cookies and decorate as desired. 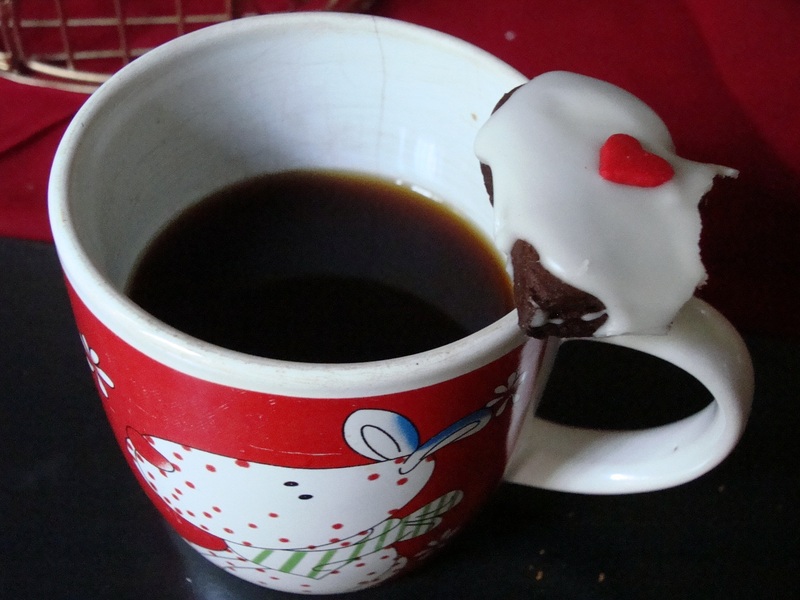 Leave to set (this icing sets quickly). 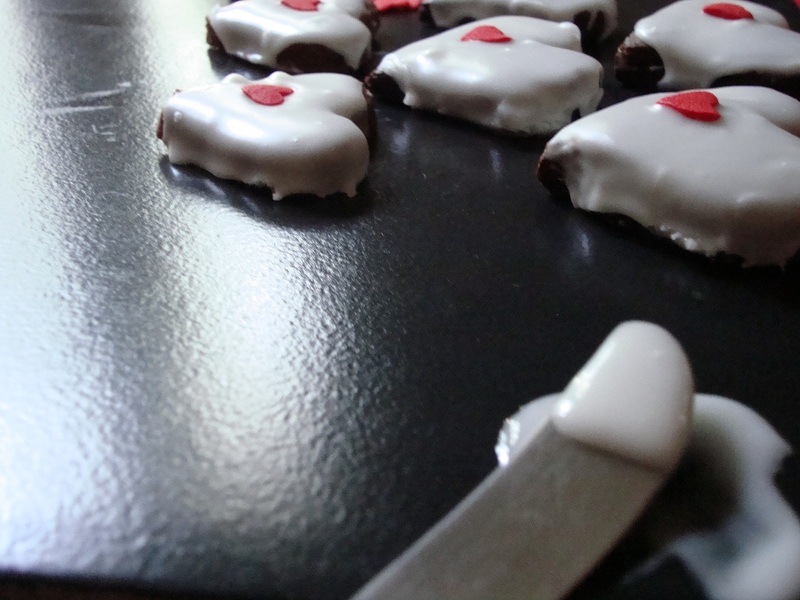 1) This recipe makes about 20 cookies, depending on the size of the cookie mould used. 2) I dislike using – or eating anything that has – corn syrup. I substitute liquid glucose for corn syrup. You should always use half the quantity of liquid glucose; for instance, if the recipe calls for two tablespoons of corn syrup, use one tablespoon of liquid glucose instead. 3) When handling liquid glucose, you have to remember that it is incredibly sticky and has a tendency to get stuck to everything, even your fingers! Use a wet spoon when you measure it out, and if you’re using your hands, make sure your hands are wet. Once the liquid glucose melts into whatever you’re making, you’ll be fine. It’s a healthier substitute for corn syrup. Thanks Abbykins! I’ve been so obsessed with my blog lately; it’s good to know it’s paying off. 🙂 <3 Enjoy your sweet treat!